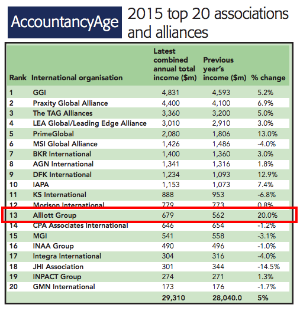 Alliott Group ranked 13th by leading professional publication Accountancy Age in 2015 league table of International Associations and Alliances. The Group has risen two places since last year which is due to a 20% rise in the total revenue of its 160+ member firms. Alliott Group’s members saw the second highest percentage rise in revenue of all networks and associations/alliances. 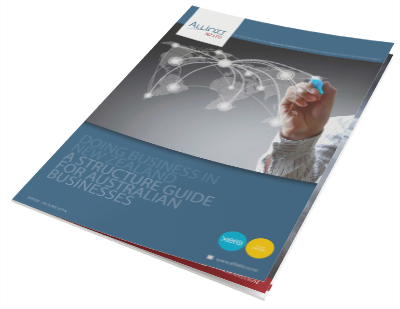 Read more about Alliott Group at http://alliottgroup.net/, or contact Alliott NZ in Auckland on +64 9 520 9200 if you are a professional firm needing local advice and insight about doing business in New Zealand.